Industrial Energy Products, Inc. carries a broad product line consisting of high temperature industrial insulating components for use in all industries. Our high temperature and fireproof industrial products consist of insulation boards, fabrics, ropes, tapes, sleeves, blankets and mortars for use in temperatures up to 3200°F. Typical industries that we service include: power generation, nuclear, fossil, waste to energy, gas turbine sites and underground electric distribution. We also supply insulating industrial products to aluminum and steel producers, glass manufacturers, gypsum board manufacturers, and provide insulating components in military applications. IEP designs, supplies and manufactures materials to all industries dealing with heat, supplying our satisfied client base with everything from insulation board to fireproofing tape. IEP offers full service, custom fabrication of our entire product line. All fabricated parts are made in America in our Lancaster County, Pennsylvania facility from primarily American-made materials. 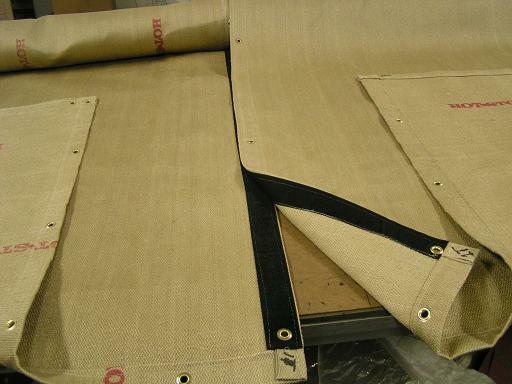 Die cutting, sewing and various stapling applications are performed in our facility. IEP can take your requirements from prototype to production. We produce single, custom parts as well as production items for industrial, commercial and military applications. Call or email us today to learn about what we can do for you.